I made these for my girls, thought I'd share! So cute Sarah! I was so happy to see a post on here! I know, it's been so long, I miss it! Being a mommy is hard work. We know! But it is also the greatest and most rewarding adventure in life. 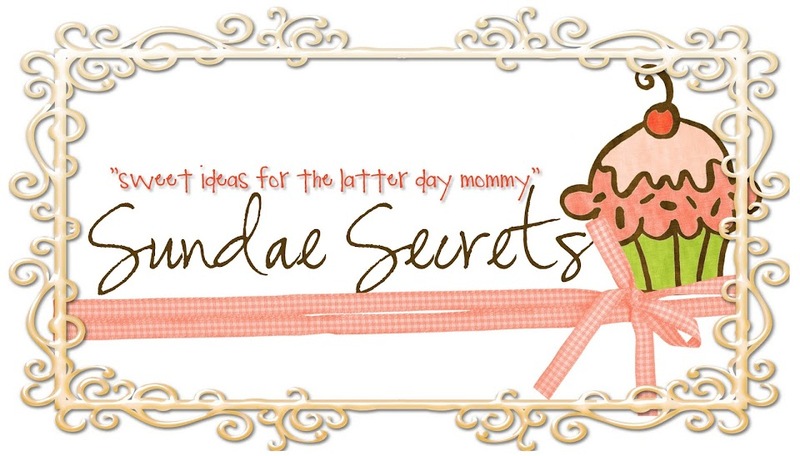 Sundae Secrets is to help you mommies make this adventure, here on earth, an easier one. One where the Spirit dwells in your home and your children learn the gospel! Sundae Secrets is all about helping you with you "lifestyle" of living the gospel! Thank you for your comments and support! !